Nobody will ever give you credit unless you put in the best efforts, before starting off a new business firm or company, you must introduce yourself to the people with what you do, where you stand, what is the designation and forte of your company or what your product may serve. In order to make this happen, all you need is to have a business card with yourself. It is more like your spokesperson; you just have to show what you are by presenting your business card to the respective person. A well-made card can manifest your stance in a glance. So make sure it has to be well build with clear font and a decent background texture will just do the job. When you happen to visit a new place, the very first thing you need is your very name. ‘What you do’, comes next. Your name is your identity and it makes you different. You cannot survive in this world without having a name, even the pets own it, even the kids have it, it is the indispensable thing and every one of us is aware of this fact. Well in the workplace you are called by your name because this is the thing from which people can recognize you. 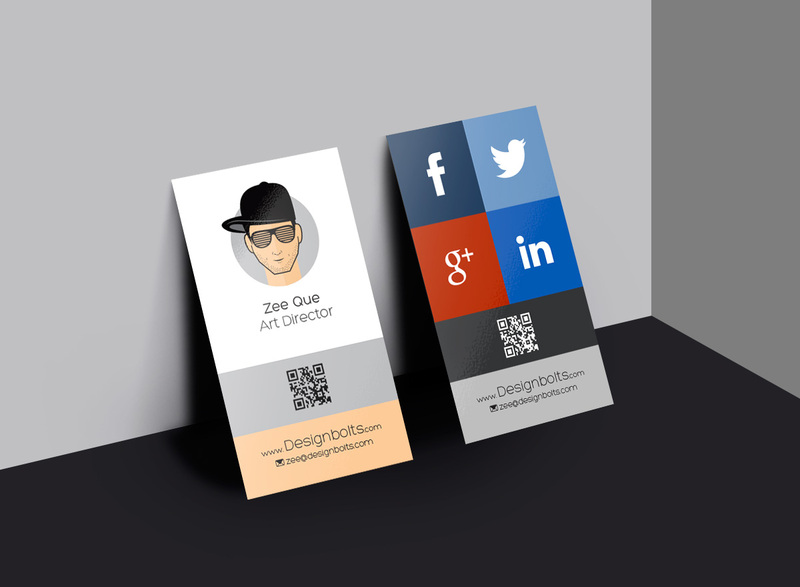 Today I am unfolding before you free vertical business card design template & mock-up PSD file for graphic designers. Have a look at the collection. Seek ideas from it and you will know how diversely business cards can be made. It will for sure make you know that it is not only about making stereotype business cards designs every time, you need to step up and upgrade your mind ideas to create something inspiring as well. Stay connected with us and we will keep bringing awesome posts for you all, we are here to accommodate you and keep your interest intact.